The first step in achieving this and a very helpful one is creating customer personas. Understanding your customer and the pain you’re solving will allow you to create a better user journey and product for them. Personas should be used as a tool to summarize & communicate research results, building personas can help improve the way you solve problems and speak to your customers. Personas are fictional characters, representing slices of your customer base. They are created with a combination of raw data, educated guesses, interviews, and research. These semi-fictional representations of your prototypical customer are developed based on customer demographics, along with your own understanding of their motivations and needs. Synchronize your team’s efforts and get everyone on the same page. Creating marketing personas is well worth the time, as it will allow you to attract the most valuable visitors, leads, and customers to your business. The competitor research will give us a more in-depth understanding of the market we’re in, our audience and of course, our competition. The competitor research isn’t meant as a means of copying them but as a means of learning more about your surroundings and will help with your next step – the SWOT. Before you start digging into your marketing personas and identifying your emotional triggers you’ll have to back up a few steps and analyze your opportunities, company and product strengths, immediate threats and weaknesses. 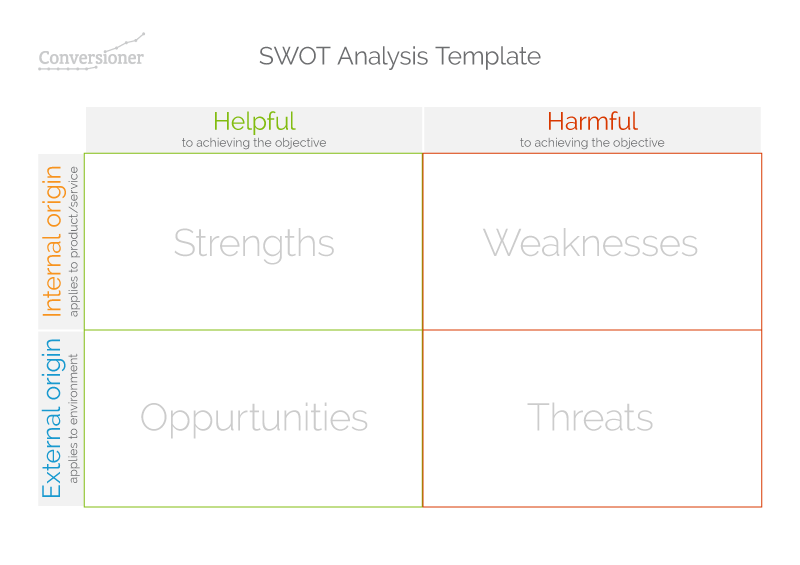 The SWOT is one of the oldest tools in marketing, allowing teams to build compelling strategies. Strengths and weaknesses are to do with your product and business, while opportunities and threats are usually to do with external elements such as market trends, technology and competitors. To create your marketing personas you should conduct interviews with customers, prospects, and members of your sales and customer service teams. Both internal and external interviews will help to establish a well-rounded picture of who your core customers are. Interviewing your team will allow for a deeper understanding of how they see the customers, what they encounter and the obstacles they face. Interviewing customers can paint a great picture as to how your customers view you and your product. Their position – what do they do? 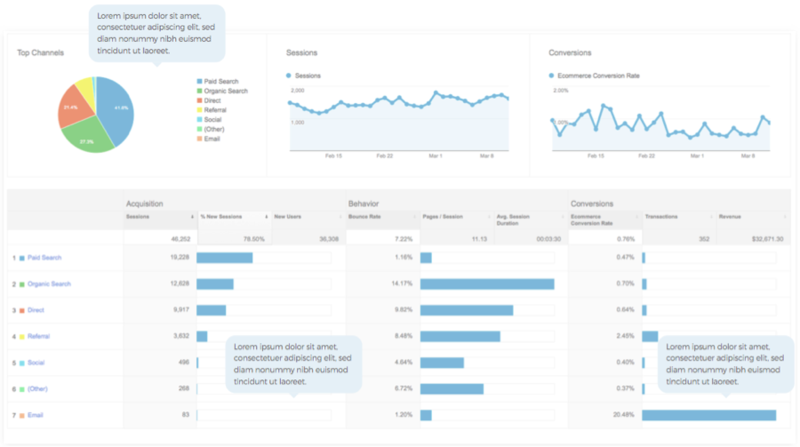 The most basic resource that can serve as a treasure trove of customer data is your website’s analytics. You can see where visitors came from, what keywords they used to arrive at your site, and how much time they spent there. Tracking demographic information allows you to see the age, gender, and interests of your customers. This information can reveal the actions that led customers to your site and the tools they used to get there. Sending out a survey is great way to collect demographic information about your customers that they may not feel comfortable sharing in an interview. You can also reach out to customers via social media. A good resource for running surveys and polls can be found on Violeta’s post sharing some original tips for collecting customer feedback. 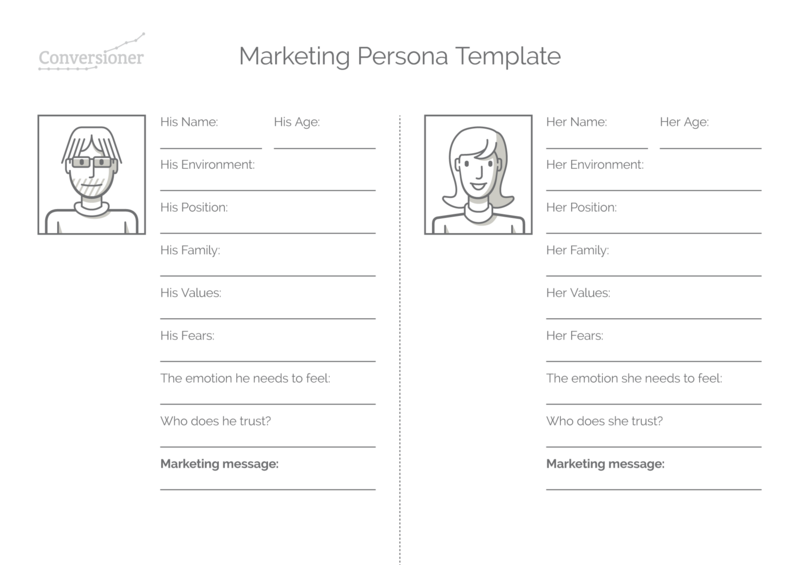 Below is a template of what a typical marketing persona would look like. Ideally you would have three to five of these fictional personas representing various slices of your customer demographics. Using three to five personas is broad enough to cover the majority of your customer base, but also targeted enough to still have the value of specificity. By giving your persona a name you help bring it to life for yourself and others in your organization. In past experiences I’ve found that once we gave the persona a name the entire team tends to address this persona in all our conversations. Used wisely, a persona can function just as any other person in the meeting while making a decision. The name allows us to address “Jennifer’s” specific issues that are related directly to her, and address “Ian’s” with a complete understanding of everyone in the room. Depending on your industry or the type of product or service you are selling you might find that your customers fit into certain groups. If your selling B2B you might want to break your personas out into one-man shops, small business owners, or c-level executives. These groups will likely come out of your customer interviews and surveys. What are the key challenges and pain points they are facing? Who and where do they turn to for advice and information? How is the thing we want to do meeting their needs? What do they want to feel once they’ve purchased your product/service? Like any element of your marketing, you shouldn’t dive into creating marketing personas without a clear strategy. Persona marketing isn’t about creating content for its own sake—it’s about finding new ways of engaging prospective buyers in ways that speak directly to them. An additional bonus here, is getting your team on board with your marketing strategy. In order to do that effectively, you need a plan that reflects who your customers are, their goals, values, and top concerns. This will allow you to create a marketing strategy that aligns with those concerns throughout every stage of the buying process. 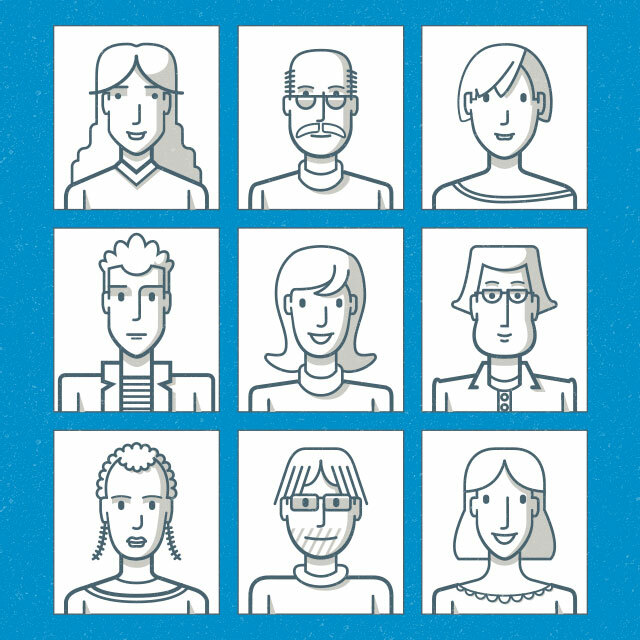 Have you found personas useful in your own marketing? Let us know in the comments.